When I go to the Textmate Bundles preferences in RubyMine (which is in its latest version on my Mac), then press on the "+" button and choose a `.tmbundle` file/folder, I get an error message saying "Can't read bundle from /Users/aziz/Library/Application Support/TextMate/Managed/Bundles/Ruby on Rails.tmbundle". It happens for all bundles, not only the Ruby on Rails bundle. Thanks a lot for your answer. 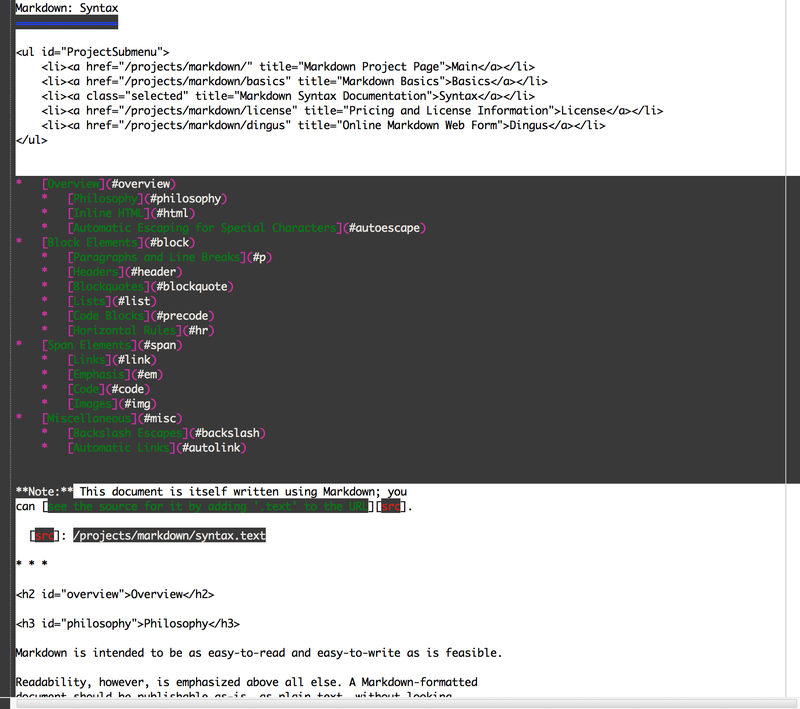 The only issue that I have is that the Markdown highlighting for the Railscasts scheme. I tried to add the Markdown Textmate bundle following your instructions but it didn't load the schema. So what should I do to replace the hilighting of markdown files to be the same as the Textmate one when using the Textmate Railscasts theme? 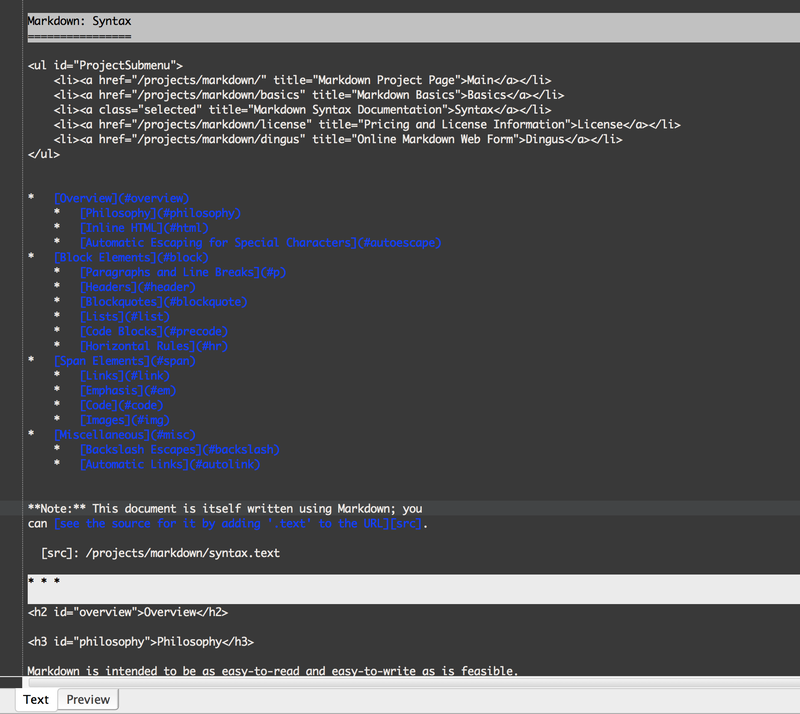 EDIT: I tried to add the Textmate railscasts.tmtheme file but that didn't work. railscasts.thTheme is bundled in IDE and placed at <ide directory>/plugins/textmate/lib/themes/ (you may edit it if you want). 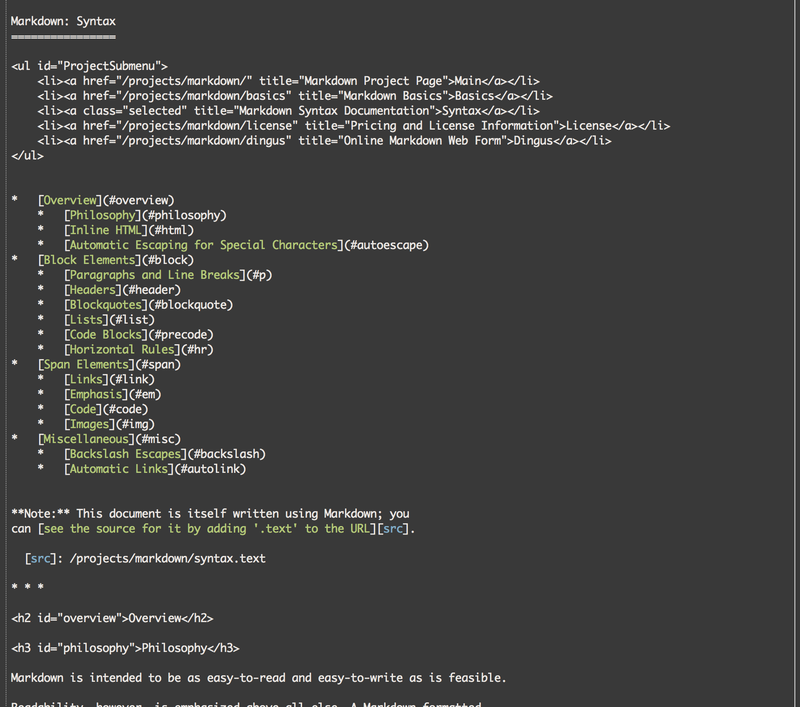 Could you please attach screenshot of markdown file with code and in railscasts scheme? Here is, in attachment, a screenshot of a markdown file when I am using the Railscasts theme that comes with RubyMine, as you asked. As you can see, the styling is hidious and is not even close to the Railscasts theme... If you need more screenshots, I can provide as many as you want. Note that I added the Markdown and HTML textmate bundles to RubyMine as shown in the screencast that you linked and it didn't change anything; but it was Textmate bundles from Github, not SublimeText 2 packages. Aziz, looks like you are using Markdown plugin for IDEA (http://plugins.jetbrains.com/plugin/?idea&pluginId=5970). If it so, then this is the issue of this plugin (not textmate bundles plugin) and you can file a bug report here: https://github.com/nicoulaj/idea-markdown/issues. Also you may turn off markdown plugin or remap *.md/*.markdown/etc file type from markdown to 'Files supported via TextMate bundles'. After that you'll get better highlighting in railscasts scheme, but likely you'll lose 'Preview' feature provided by markdown plugin. 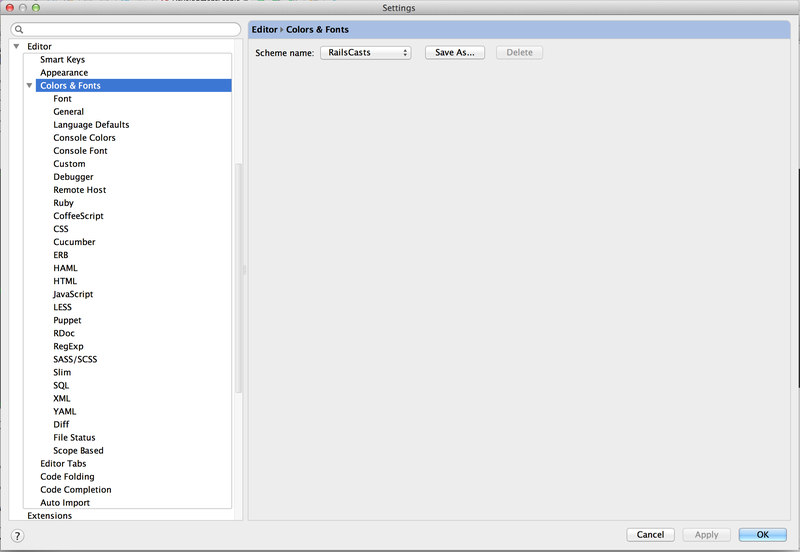 Please attach screenshot of TextMate Bundles settings and Editor | Colors & Fonts settings. 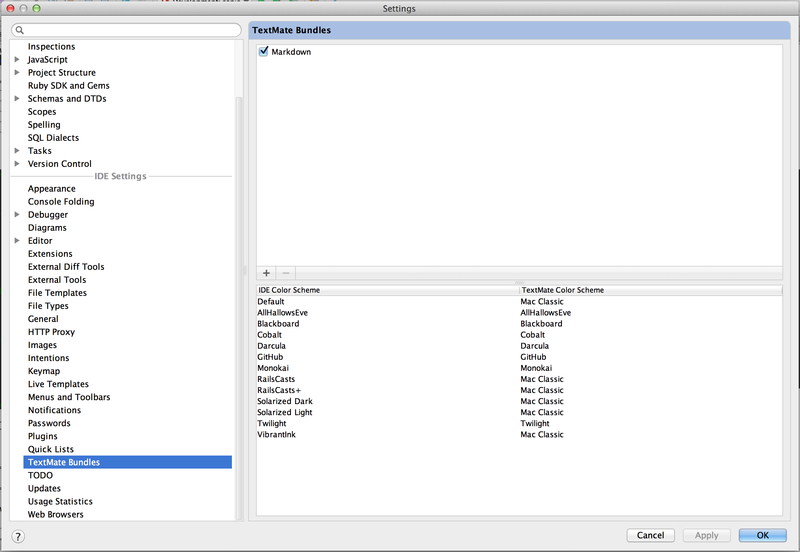 Try to set mapping RailsCasts to RailsCasts in TextMate Bundles settings (left click on right column). Closing/opening editor may be required after changing mapping. Ok, restarting the editor did the trick and now the Railscast scheme is used properly, but the Markdown file is still very poorly highlighted (by that I mean almost not hilighted; just the links are hilighted). As usual, screenshot in attachment. Well, Railscasts theme provides not too much selectors for markdown highlighting (in sublime text it looks exactly the same). But railscasts has rules for HTML, so adding HTML bundle can improve looking. 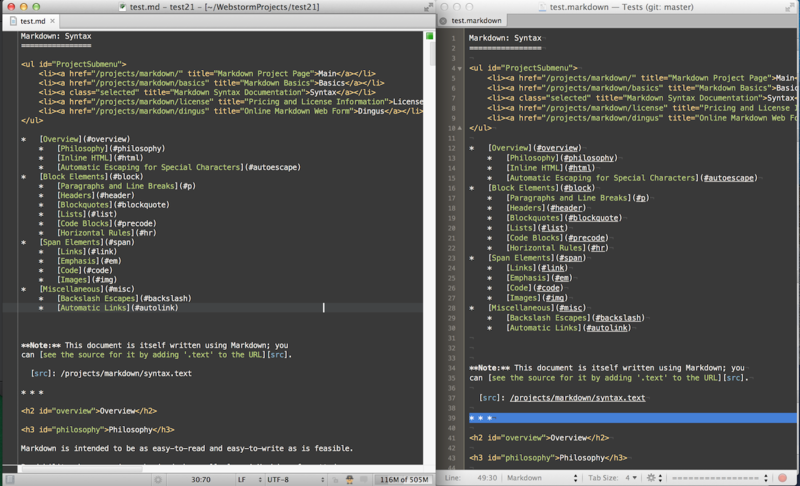 Just compared highlighting with textmate, pretty similar imho (see screenshot). I guess...What I did in the end is duplicate the Railscasts scheme and called the duplicate Railscasts+. I use the Markdown IDEA plugin and customised the colors for Markdown specifically. It looks a bit better except for the HTML. I'm going to submit an issue on the Markdow IDEA plugin's Github repo as you suggested earlier. Thanks a lot for your help and especially your patience!! Thank you for feedback. I'll try to make TextMate Bundles settings more apparent.